Product sampling is one of the most successful direct marketing tool today. It motivates customers to buy a product by giving them a taste for it. It’s a cost-effective way to create awareness, generate trial and increasing sales by putting products into the hands of those most likely to buy them! Whatever you are promoting Pitlane have specialist product sampling personnel who can show and promote your product as if it is their own. This will ensure the highest level of success for your product or brand. Product sampling promotions remain one of the most effective ways to get consumers to try and ultimately purchase your product. We work alongside many different companies to help hand pick the perfect staff. When we are assigning staff we understand the importance that they have knowledge, passion and enthusiasm for the product to get the best results. With over 10,000 experienced promotional event staff throughout the UK we can always find the perfect candidate. We have delivered some of the UK’s biggest ever sampling campaigns. 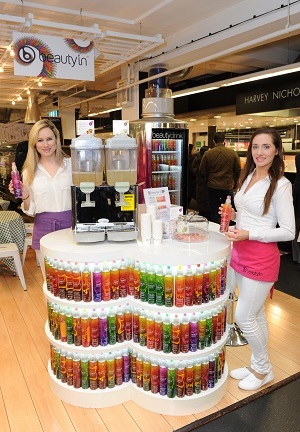 Multi-location and multi-brand product sampling we have lots of experience and have worked on many national campaigns. We have more than 10,000 promotional staff of varying age and genders. We always use local staff, this means no expensive travel cost for you to pay, they know the area they are working which means they can interact better with your target market. They have lots of experience and make sure your brand reaches your target market in which ever way you require it to be delivered. Our agency understands the power of face to face engagement. We have worked with clients from one man bands such as chips away to multi-nationals like Tesco. Our goal is to make sure our people leave your brand etched on your potential and existing customers minds and that they have a positive experience.